In November of 2014, Berkeley, California became the first city in the U.S. to pass a law taxing sugary drinks with an excise tax. At the time, more than three-quarters of the voters supported a tax of one cent per ounce on soft drinks. There were questions as to whether the tax change would also increase the overall price of soda and sugary drinks. The latest research from the University of California, Berkeley (UC Berkeley) has found that the price of soda has gone up after all. The results of the study were published nearly a year after the tax increase in the American Journal of Public Health. An excise tax is charged before the point of purchase, and it could potentially lead to higher retail prices. 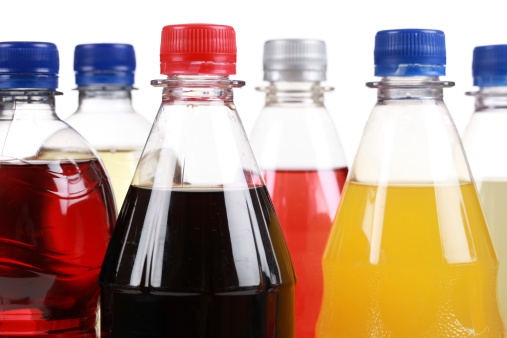 As a result, consumers are more aware of the higher cost before sugary drinks are taken from the store shelves. On the other hand, a sales tax will increase the purchase at the register. The goal of the tax hike was thought to control the consumption of soda, energy drinks, and sweetened teas. Regular consumption of these sugary drinks can increase the risk of several health problems in the U.S., such as type 2 diabetes, obesity, heart disease, gout, tooth decay, and metabolic syndrome. “No one knew how retailers would deal with the added costs of the tax,” explained Jennifer Falbe, the study’s lead author and a UC Berkeley postdoctoral researcher in public health nutrition. “Increasing the price of sugary drinks is a critical first step in discouraging consumption, so it’s incredibly encouraging that we’re seeing pass-through of the tax to higher retail prices so early after implementation. We expect higher price increases in the future as small business owners learn more about the tax,” added Falbe. For the study, the research team collected data on many beverage prices from before the tax hike. Besides Berkeley stores, researchers also included San Francisco and Oakland retailers in order to account for factors that possibly affect regional prices of sugary drinks. Data was again gathered three months after the tax increase. The researchers found that soft drink prices increased by around seven-tenths of a cent per ounce more than the other cities. Since the tax was one cent per ounce on the distribution of sugar-sweetened drinks, about 70% of the tax had affected the retail price. Fruit-flavored drinks like lemonade and cranberry cocktails showed a smaller increase of nearly half a cent per ounce. The study results differ from a working paper on Berkeley soda prices from August. It suggested that a smaller amount of the tax was added to the soda retail price. Falbe says the differences may be explained from how and when the stores were sampled for the studies. Another difference is that the UC Berkeley study found that sugary drink prices changed more at supermarkets, but less at chain drugstores. “This is important because most Americans do their primary grocery shopping at supermarkets,” commented Falbe. A 2013 study from Harvard researchers found that raising the price of a 20-ounce soda by 20 cents led to a 16% drop in sales. For that study, researchers increased the price of high-calorie beverages in the cafeteria at a financial services company. The beverages that contained 150 calories or more included mostly soda, whole chocolate milk, lemonade, and some other juices. “Regardless of price increases, soda taxes can be a means of sustainably funding public health efforts,” says study senior author Dr. Kristine Madsen. Yang, S., “Berkeley’s soda tax boosts retail prices of sugary drinks, study confirms,” Berkeley News web site, October 7, 2015; http://news.berkeley.edu/2015/10/07/soda-tax-boosts-sugary-drink-prices/. Frisell, S., “Nation’s First Soda Tax Passed in California City,” TIME web site, November 5, 2014; http://time.com/3558281/soda-tax-berkeley/. Hellmich, N., “Study: As cost of sugary drinks go up, sales go down,” USA Today web site, November 14, 2013; http://www.usatoday.com/story/news/nation/2013/11/14/sugar-drinks-cost/3497191/. “Soft Drinks and Disease,” Harvard School of Public Health web site; http://www.hsph.harvard.edu/nutritionsource/healthy-drinks/soft-drinks-and-disease/, last accessed October 8, 2015.